Stretch like a giraffe, roar like a lion, and flap like a butterfly! 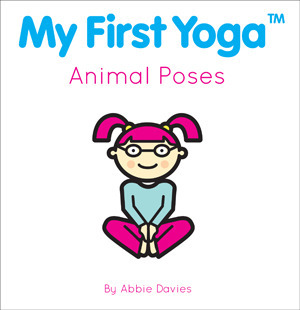 On Saturday, July 10, yoga instructor and author of My First Yoga: Animal Poses ABBIE DAVIES will lead a yoga workshop appropriate for toddlers/pre-K and up. Kids will use shapes inspired by animals to stretch and strengthen their bodies while they focus their minds. (Think she'll let us grown-ups join in?) She'll also sign copies of the book! 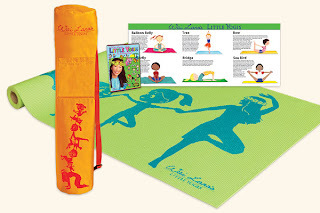 More information on Abbie and the My First Yoga program is available at www.myfirstyoga.com. From there you can learn about the yoga curriculum for kids Abbie developed, see upcoming classes for kids, find training workshops for adults interested in teaching My First Yoga classes, and even download an Animal Poses iPhone app! It's an awesome supernatural romance YA series. They're also dark, serious books, dealing with difficult subjects like abuse, alcoholism, and the process of learning to trust and love another person when you've only been able to rely on yourself. Am I wrong to question whether Miley Cyrus, aka "Hannah Montana", singer of "Can't Be Tamed," has the necessary depth to play tortured Janie? Maybe I just don't have an eye for young talent. The trailer, as good trailers are supposed to do, actually leaves out the best stuff, but as we received an ARC I can tell you to expect great things! Never has our giraffe in construction worker couture felt more apropos. You may have noticed some big changes around the Square. Another raised crosswalk construction project is happening down at the corner of Brattle and Church St., and closer to home (as in, right over our employee area!) a total sidewalk makeover is... well, not happening. The city of Cambridge has declared the sidewalk around the store unsafe (says owner Donna: "We've been saying that since we moved in!") and in need of a major overhaul. Unfortunately, neither the city nor our landlord is sure who is responsible for the area underneath the sidewalk: our store room, bathrooms, and offices. Until the dispute is resolved, the construction is stalled, because no one's sure what to do or who's going to do it. We'll keep you updated as to the project's progress. Thanks for your support and flexibility during this time. 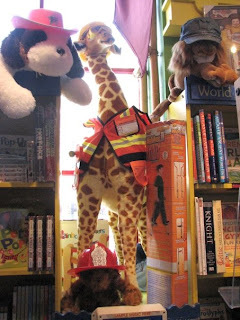 Despite the dust, we always have great merchandise and great staff to help you find the perfect book or toy for your youngster (or yourself!). What with the contest entries read, votes tallied, artwork hung up and admired, we have some time for blogging again! 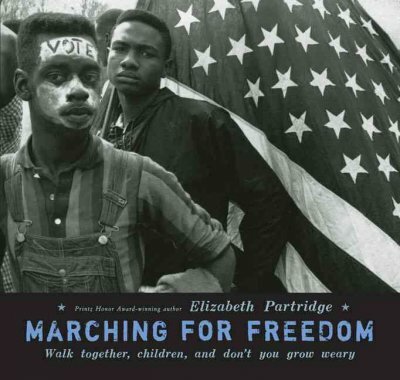 Here are our latest staff picks...we hope your book-light is fully charged! This anthology of human-to-animal shape-shifters includes original stories, reimagined fairy tales, and retold myths by the likes of Jane Yolen, Peter S. Beagle, and Tanith Lee. "Map of Seventeen" (featuring a cute merman!) is my personal favorite. If you love either John Green (Looking for Alaska, Paper Towns), David Levithan (Boys Meets Boy, Nick and Norah's Infinite Playlist) or simply great books, what more could you want than these two extraordinary writers together? 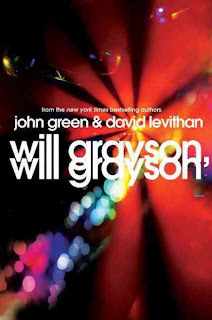 When one Will Grayson meets another Will Grayson, worlds collide and realign, and you will not be the same afterward. 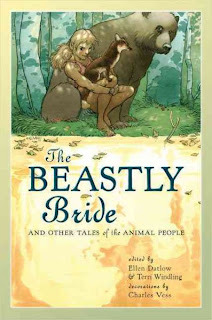 Great illustrations and characters that are both funny and a little deep make this a graphic novel not to be missed. Copper is a happy-go-lucky boy, and Fred is his mopey, existential dog. Together they get into all kinds of fantastical adventure. Reminds me of Calvin and Hobbes, with more fantasy. Poor Bunny the Bunny feels sad because he doesn't know what sound he makes. 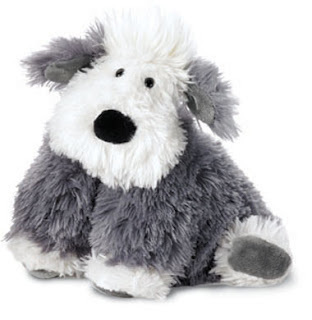 Luckily, he has friends like Cat the Cat and Hound the Hound to cheer him up. This is a good book about friendship for beginning readers. The American Revolution through the eyes of a British officer's horse who's been co-opted for Paul Revere. Of COURSE, the new owner is nicer. There's a dry sense of humor going on here that I appreciated and it's funny. Would probably make an entertaining read-aloud. Diagnosed with Tourette Syndrome and OCD at age 5, this is Corey Friedman's story about the many obstacles he faced and ultimately overcame. This book will open your eyes to the struggle that affects as many as 10 per 1,000 people. Two recent additions to our picture books have such squeezable characters that they're just begging to be read in a blanket fort on a sleepy Sunday morning. Gather up all your blankies, pillows, and lovies, and get ready to invest in some serious snuggle time. The Quiet Book by Deborah Underwood is something I've been waiting impatiently for since last summer, when I got a sneak peek at NECBA's "Pub Crawl" of publisher Houghton Mifflin Harcourt. The text is deceptively simple and brilliantly subtle, naming different kinds of quiet beginning first thing in the morning and continuing through the day. There are a lot more than you might think! The young animals acting as surrogates for kids during good ("first one awake," "bedtime kiss") and not-so-great ("jelly-side down") moments of quiet have great expressiveness in face and gesture. 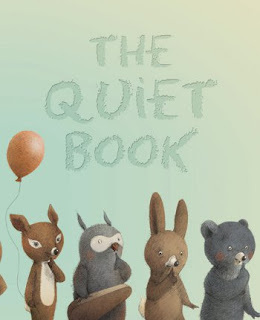 The Quiet Book is charming at first glance, but only grows in warmth and wit the more time you spend with it being quiet. 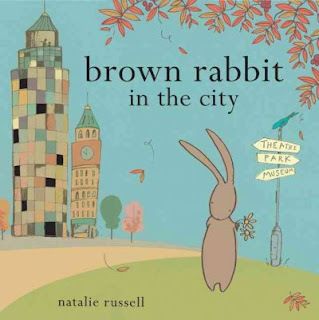 Natalie Russell's Brown Rabbit in the City is another long-awaited new book. This companion to Moon Rabbit follows Brown Rabbit as he visits Little Rabbit in an NYC-esque metropolis. Being a country bunny, he's in for a shock (I remember feeling similarly when I first visited New York! ), and Little Rabbit's not helping with her jam-packed agenda of things to do and see. I love Moon Rabbit, and I'm so glad that its sweet friendship story continues In the City. 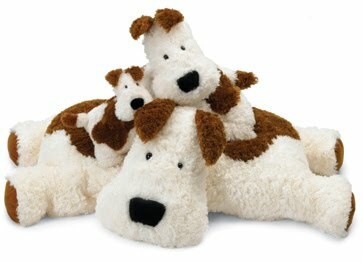 Luckily, we can still be friends, since each of us can have a Truffle Dog of our very own. Whew! Crisis averted! "Ah, yes, now I do," I said quickly; and I hope you do too, because that is all the explanation you are going to get. 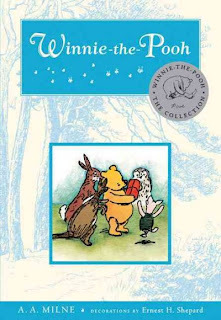 Winnie-the-Pooh, The House at Pooh Corner, and Milne's poetry are quintessential blanket-fort fare... and any serious Pooh read-aloud session requires a "silly old bear" to be present! 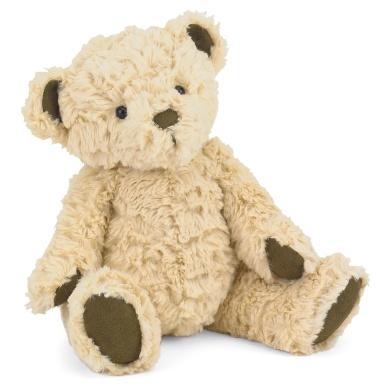 This one from Jellycat will naturally need a little wearing in to be the ultimate companion -- may I recommend some bumping down the stairs on his head? -- but he's an awfully good start. For a great baby gift, pair him with Dutton's new full-color editions, which have watercolors accentuating Ernest Shepard's lovely illustrations. 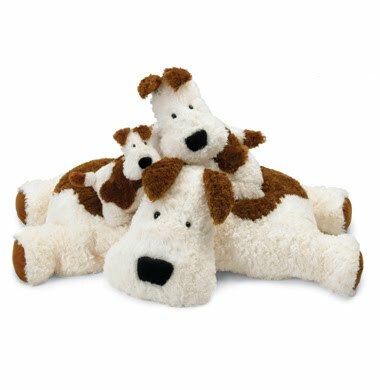 The other George staffers know I'm hooked on the art of Susie Ghahremani, introduced to me by CG alumna, lover of all things adorable, and illustrator of squishable animals Jess Golden. Luckily for me, if not for my bank account, we recently received a bunch more items featuring Ghahremani illustrations! What better way to let someone know you're thinking of them than with a short but sweet sentiment relayed by cavorting animals? 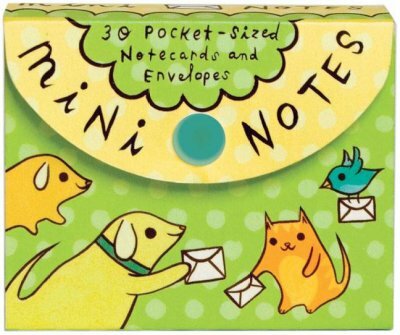 The tri-fold Mini Notes set holds ten each of three card designs: "Thanks for..." (birdies carrying thank-you banners), "Hi There!" (a kitty opening a present with a puppy inside), and "Call Me!" (a kitty wrapped up in a phone cord). 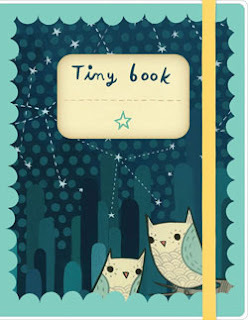 The cards measure about 3.5 inches by 2 inches, and come with coordinating teeny-tiny envelopes. The mini size makes these great to tuck into a friend's purse, pocket, locker, or lunch bag. 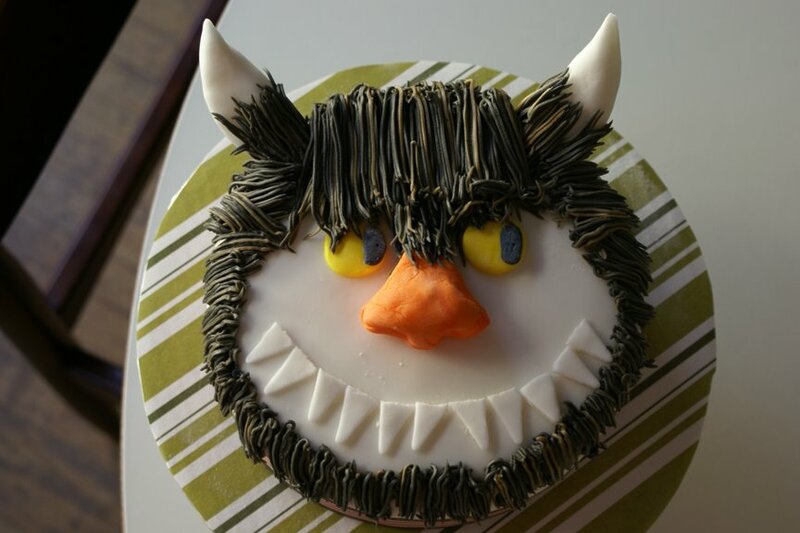 Everybody I've given one to has actually squeed! 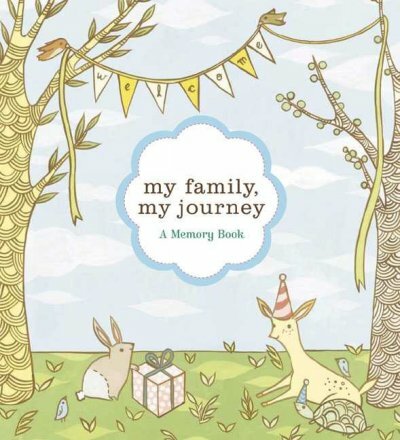 My Family, My Journey: A Baby Book for Adoptive Families is unlike any other baby journal I've seen -- it helps families record memories leading up to and after an adoption. Adoption-specific journaling prompts like "The Match!," "Our Journey to You," "Our Very First Meeting," and "What We Know About Your Birth Family" are tucked in with more standard baby journal fare ("All About Your Birthday," "All About Your Name," Our Hopes and Dreams for You"). There's also a pocket to store mementos and stickers to create a family tree. 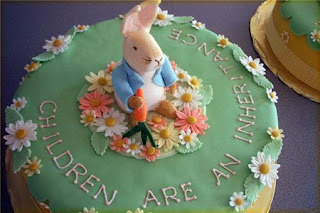 I wish this had been out there when a (now pre-teen) young friend of mine was adopted! 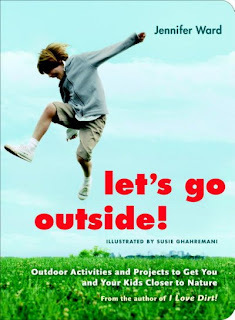 Let's Go Outside! 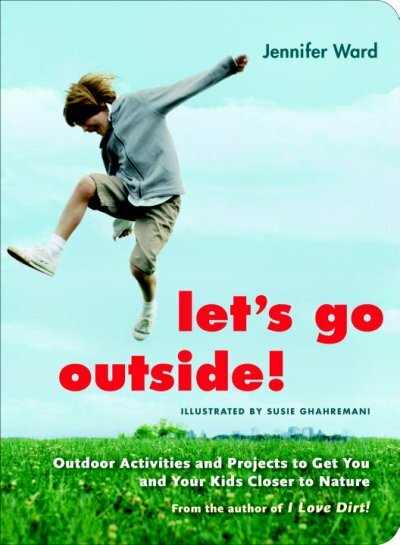 Outdoor Activities and Projects to Get You and Your Kids Closer to Nature by Jennifer Ward features art by Susie Ghahremani alongside more than 50 great ideas for outdoor fun. Make sun prints, press flowers, make daisy chains, blow giant bubbles, start a cloud-watching journal, or make a field guide to your own backyard. I especially can't wait to try #19 ("Paper Makers") and #22 ("Playground for Poets"). This is a great pick for summer vacation. 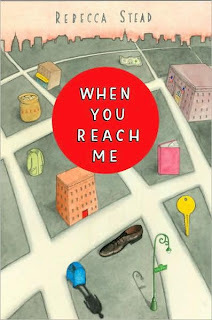 You may remember that When You Reach Me won this year's Newbery Medal (the American Library Association's award for children's fiction) and The Lion and the Mouse won the Caldecott (the ALA's illustration award). But of course, Curious George staffers loved all these books long ago. 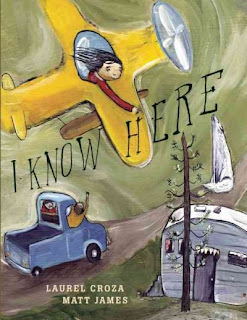 After the release of When You Reach Me, Taylor said: "When whip-smart, instantly likeable 12-year-old Miranda begins to receive mysterious notes with even more mysterious directives, she is catapulted into a mission—à la her favorite book, A Wrinkle in Time—to save someone she loves. You will quickly find yourself embroiled in the mystery along with her." Natasha picked Smile as a fave early on: "A fun, well-illustrated and funny story of one girl’s lifelong dental drama. First, Raina needs braces, then she displaces her two front teeth, and thus starts middle school with various forms of dental wizardry to straighten and fix up her teeth. You’ll root for Raina as she tells her story with lots of humor!" 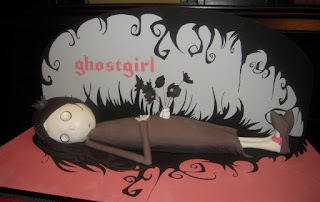 The recent arrival of Tonya Hurley's Ghostgirl in paperback reminded me of my new favorite TV show: Ace of Cakes. 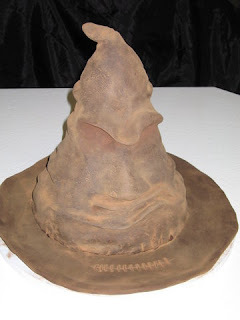 If you're not familiar with the wicked geniusy bakery Charm City Cakes, prepare to be astounded (and hungry!). 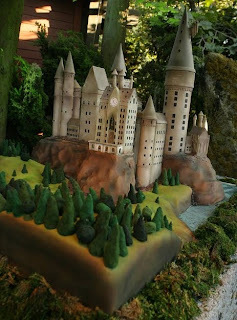 and a ginormous (although not quite life-size) Hogwarts! Maybe someday (with a lot of practice and research!) I'll open a kids' bookstore/bibliophile's bakery. Talk about la dolce vita, eh?